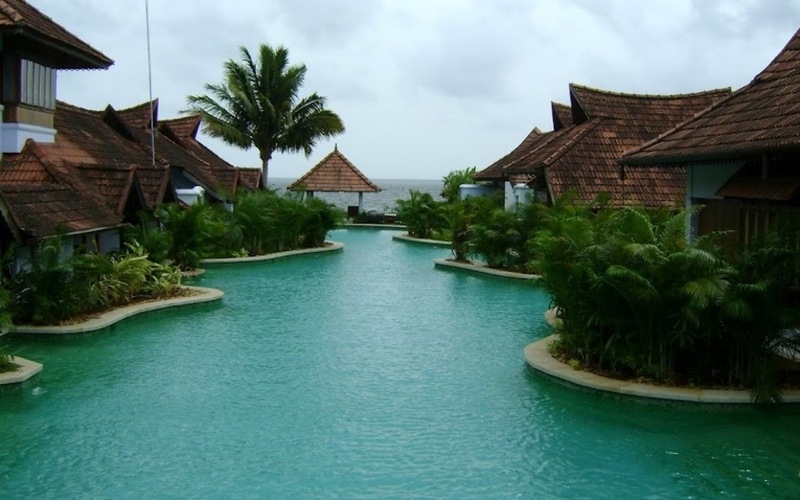 The Kumarakom Lake Resort is a hamlet that nestles by the breathtaking Vembanad Lake and is rated as one of the best backwater resorts in the world. 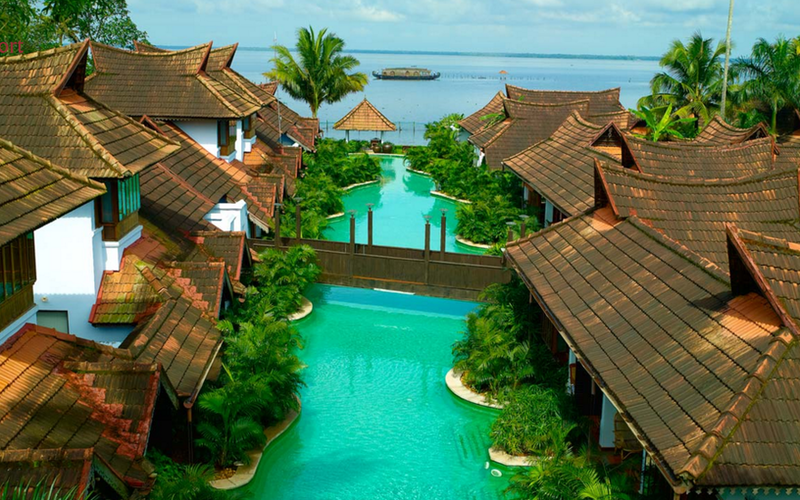 It is a picturesque world of backwaters, thatched houseboats, mangrove forests, emerald green paddy fields and coconut groves, all interspersed with enchanting waterways and canals. 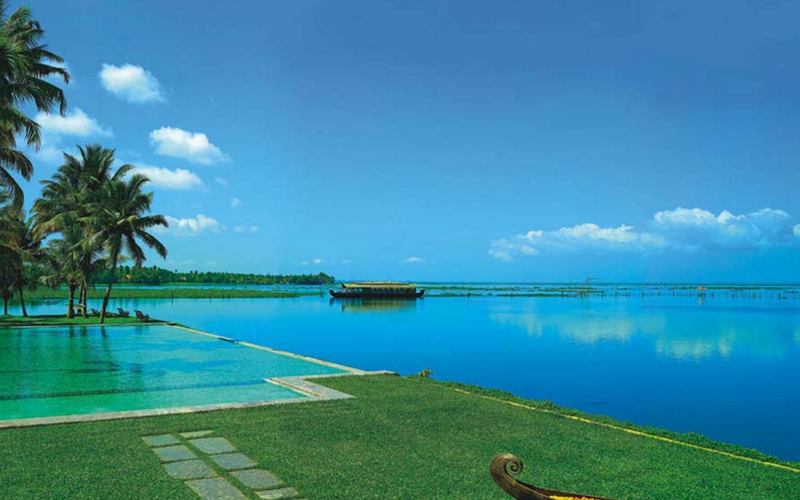 The surrounding habitat is home to exotic birds such as cormorants, Siberian storks, egrets, darters, herons and teals. 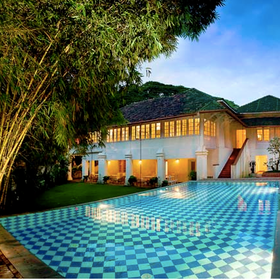 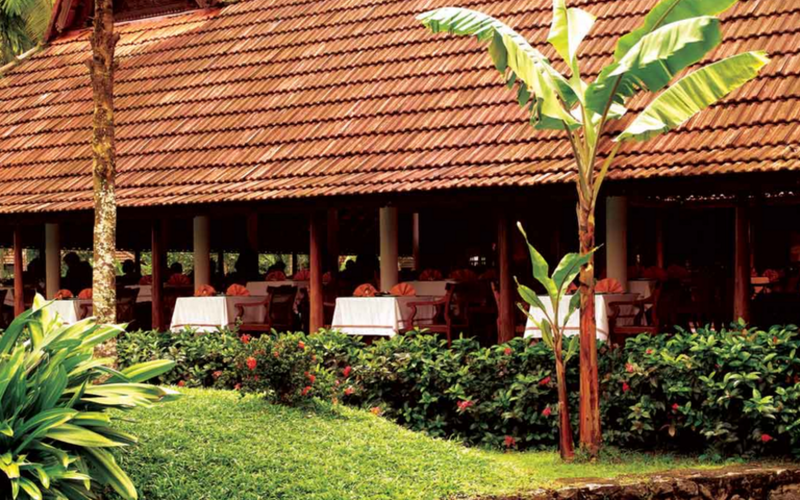 Spread over 25 acres overlooking the majestic Vembanad Lake, what makes this resort unique is the ethnic feel whilst being cosseted in the lap of luxury. 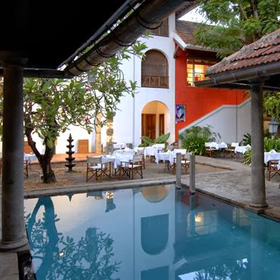 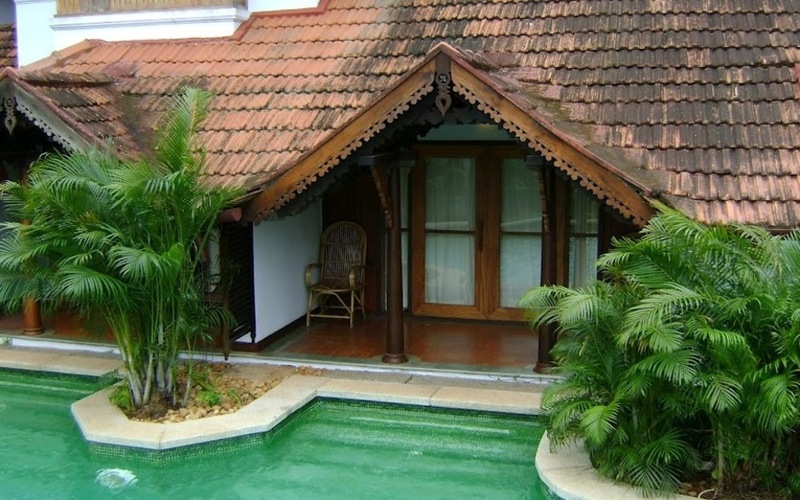 The architecture is strictly traditional with everything from the reception area to the cottages designed in traditional Kerala style. 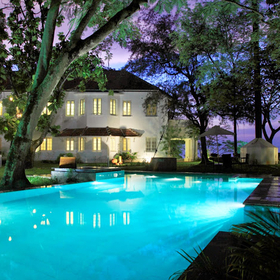 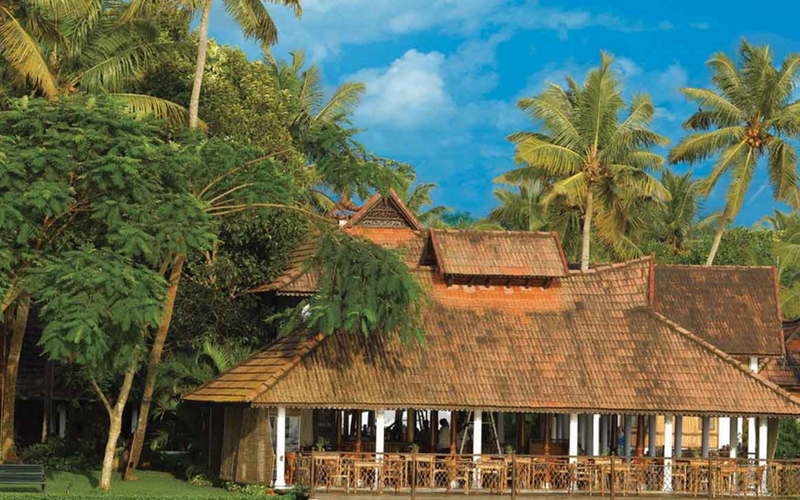 Even the restaurant is built like an 'ettukettu', meaning an eight-sided mansion. 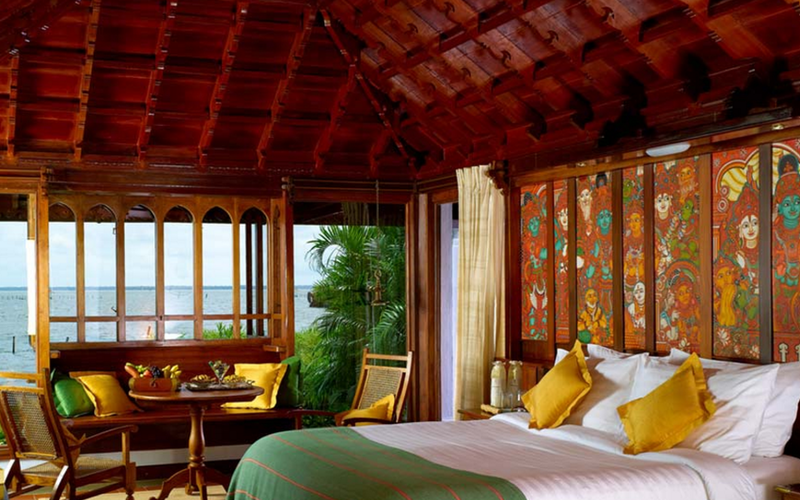 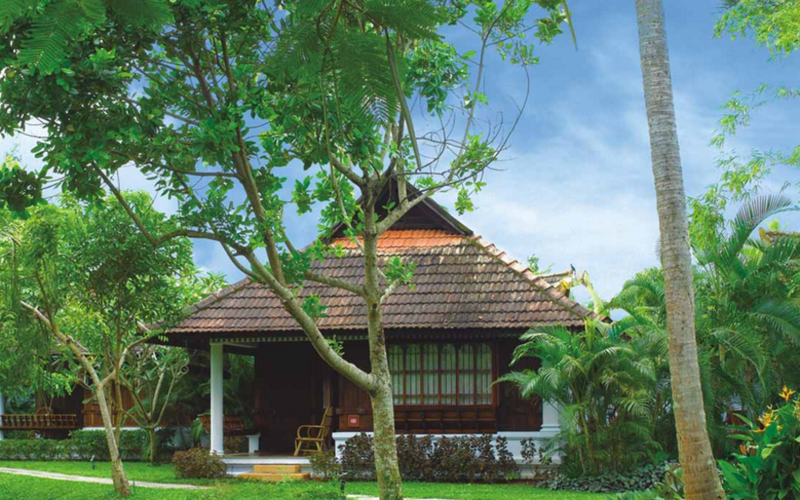 Whilst some hotels copy the style of Kerala architecture, the Kumarakom Lake Resort has painstakingly dismantled traditional houses brought from around Kerala and re-assembled them into luxury cottages. 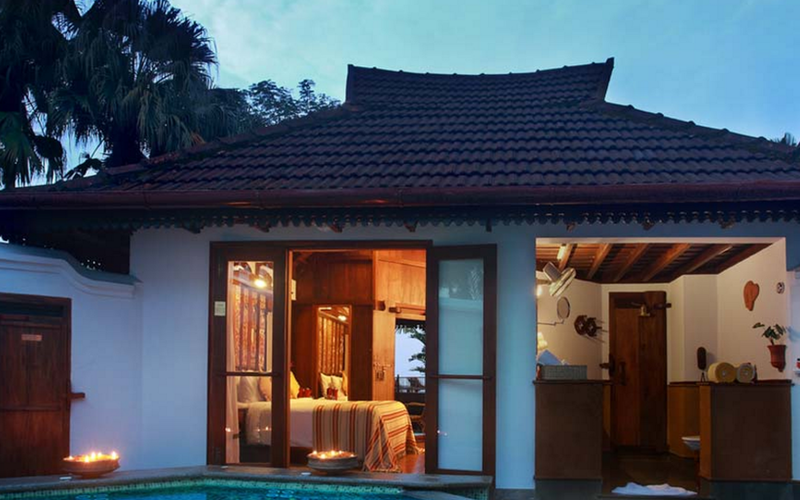 Another highlight is the meandering pool villas where the veranda of your room opens out to the cool green waters of the 250-meter meandering pool. 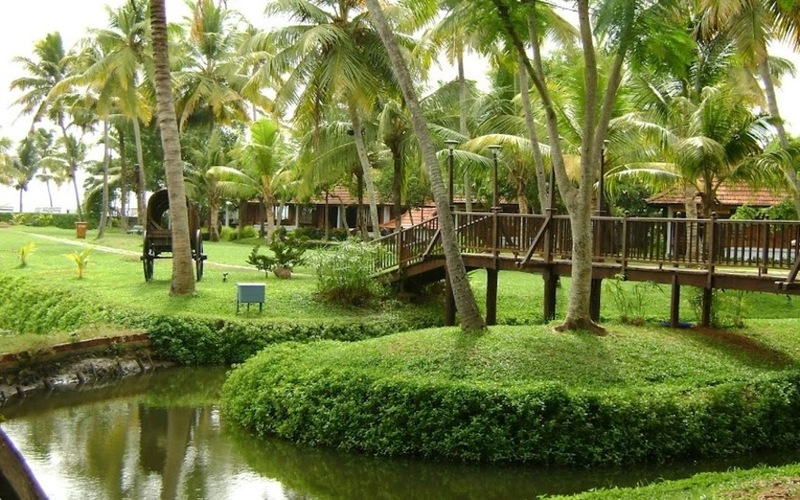 72kms (1.5 hours drive) from Cochin. 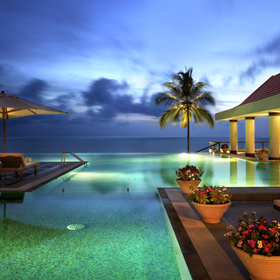 Lake-facing resort. 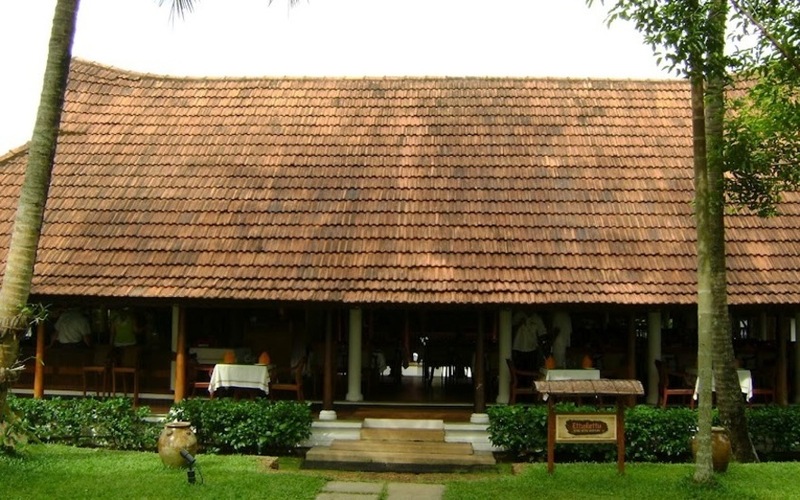 'Ettukettu' multi cuisine restaurant and bar-offers continental, Chinese, Mughlai and Kerala cuisine, Vembanad seafood specialty restaurant, Thattukada traditional tea shop offers snacks. 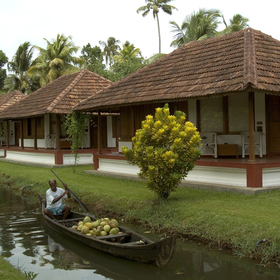 Enjoy an overnight cruise in the mesmerising backwaters here. 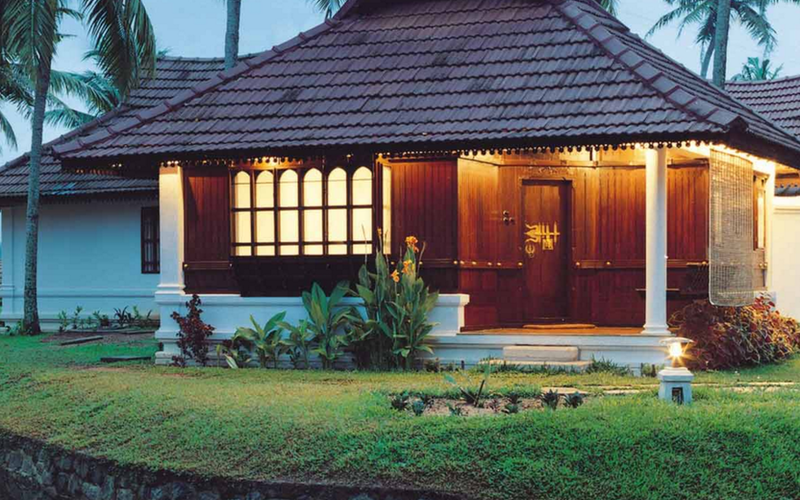 The Krishnapuram Palace, located 47 kms from Alappuzha en-route to Kollam, was built by Marthanda Varma in the 18th century. 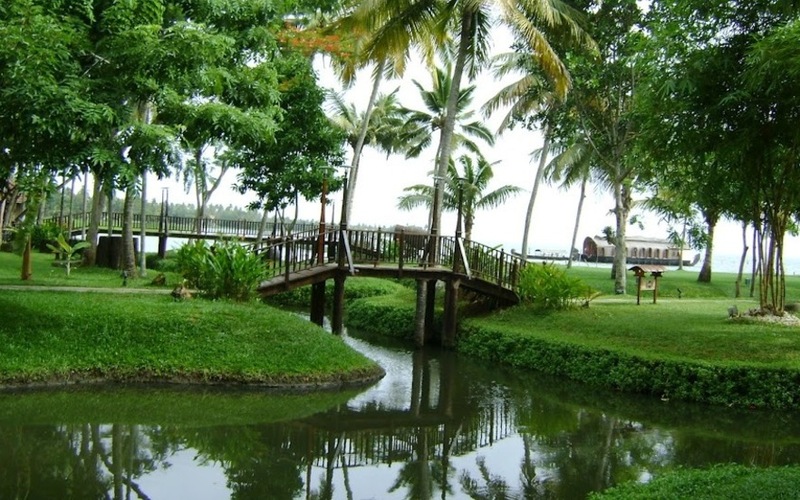 Often compared to Venice because of its narrow picturesque waterways, Allapuzha (Alleppey) is one of the most picturesque locations anywhere in the world. 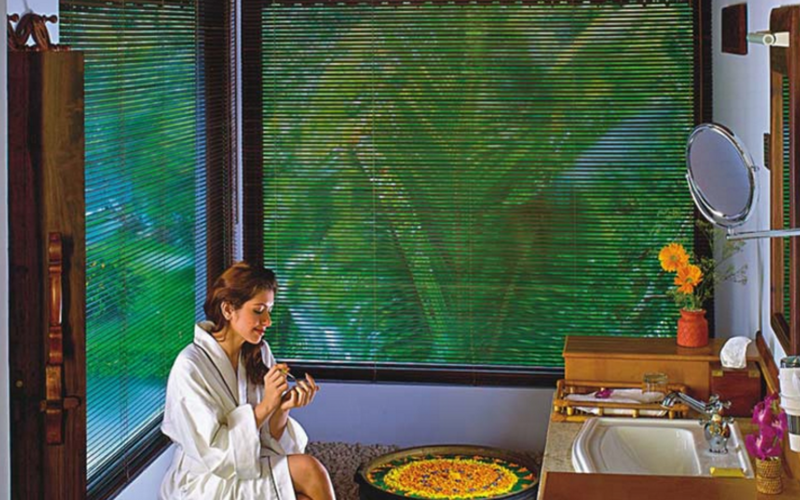 and its interior furnishings which provides for an intimate and usually luxurious environment.